Welcome to the third and final discussion of the Sense & Sensibility read-along! If this is the first you've heard of the read-along, you can learn more in this invitation post. "The whole of his behaviour," replied Elinor, "from the beginning to the end of the affair, has been grounded on selfishness.... His own enjoyment, or his own ease, was in every particular, his ruling principle." "Marianne's affliction, because more acknowledged, more immediately before her, had too much engrossed her tenderness, and led her away to forget that in Elinor she might have a daughter suffering almost as much, certainly with less self-provocation, and greater fortitude." "His heart was now open to Elinor, all its weaknesses, all its errors confessed, and his first boyish attachment to Lucy treated with all the philosophic dignity of twenty-four." "If Edward might be judged from the ready discharge of his duties in every particular, from an increasing attachment to his wife and his home, and from the regular cheerfulness of his spirits, he might be supposed no less contented with his lot, no less free from every wish of an exchange." "In Marianne he was consoled for every past affliction;—her regard and her society restored his mind to animation, and his spirits to cheerfulness; and that Marianne found her own happiness in forming his, was equally the persuasion and delight of each observing friend. Marianne could never love by halves; and her whole heart became, in time, as much devoted to her husband, as it had once been to Willoughby." Now, this volume was a very interesting one! Some things happened that I expected from my familiarity with the 1995 movie adaptation, like Marianne's sickness and who ended up with whom. But I was shocked when Willoughby came back on the scene. I thought his time in the story was over! I have to agree with Elinor's opinion that selfishness seemed to rule all of Willoughby's choices, even (and perhaps especially) in him coming to confess his feelings for Marianne and share his side of the story with Elinor. Why? His desire for pity and empathy frustrated me, as well as his disregard for the damage he'd done to others beyond his own "sorry fate" brought on by it all. His story did little to stir my compassion, I confess. He ruined the life of a young lady (although I'm not saying she's completely guiltless based on what little we know), and yet he only seems to care about the loss of his own happiness...which he threw away because of greed. Just...ugh! I'm not sure if this is awful to admit, but I think I prefer the way the movie left out some of these things that seem to "wrap up" the story a little too neatly in the book. We don't always get answers in this life. We don't always get to know what the other person was thinking or why someone did what they did or what they really felt for us. I wonder if it really did all that much for Marianne to know of Willoughby's confession, or if it wouldn't have made much of a difference in the end to her own peace of mind and future happiness. Anyway, there's my two cents (or more) on the Willoughby stuff! On a lighter note, I loved the humorous misunderstanding between Elinor and Mrs. Jennings. Just goes to show the danger in "filling in the blanks" when you overhear something. ;) It was too cute how long that dragged out, Mrs. Jennings thinking Elinor was going to marry Colonel Brandon and have Edward officiate, while Elinor was only charged with giving Edward the good news about Colonel Brandon's offer. Good times! I'm also happy for Edward and Elinor, and I love that Marianne and Elinor get to live on the same property with no apparent jealousy on Elinor's part given their different stations. It's one big happy family and a delightful ending! 1. What did you think of Willoughby's confession? Did it change your mind about him in any way? 2. Which character ended up surprising you the most based on what we knew about them at the beginning and where they ended up by the last page? Anyone have an interesting cover for this book they'd like to chat about? I'm really not quite sure where Northanger Abbey fits... It was the first of Austen's books I read, I believe, and I have such a fondness for it, especially because of the BBC adaptation that made me fall in love with Henry Tilney. ;) I'm not sure the book is necessarily better than Persuasion or even Sense & Sensibility; I just love the story! I won't mention any dates yet or anything, but I do think I would be interested in hosting more classics read-alongs in the future! I ran a poll on Twitter a while back, and between those results and my own interest, I think Anne of the Island by L.M. Montgomery might be the featured book for the next read-along. What say you? Welcome to the second discussion of the Sense & Sensibility read-along! If this is the first you've heard of the read-along, you can learn more about the schedule in this invitation post. "I was young once, but I never was very handsome—worse luck for me. However I got a very good husband, and I don't know what the greatest beauty can do more." "Colonel Brandon, who had a general invitation to the house, was with them almost every day; he came to look at Marianne and talk to Elinor." 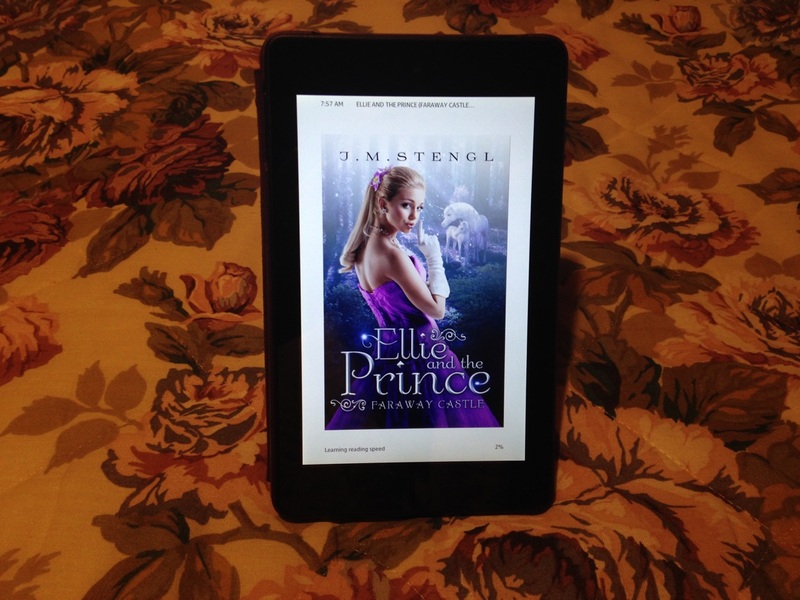 "Elinor, affected by his relation, and still more by his distress, could not speak. He saw her concern, and coming to her, took her hand, pressed it, and kissed it with grateful respect." "It was a matter of great consolation to her, that what brought evil to herself would bring good to her sister." "Elinor was much more hurt by Marianne's warmth, than she had been by what produced it; but Colonel Brandon's eyes, as they were fixed on Marianne, declared that he noticed only what was amiable in it, the affectionate heart which could not bear to see a sister slighted in the smallest point." "Because they were fond of reading, she fancied them satirical: perhaps without exactly knowing what it was to be satirical; but that did not signify." This volume brings the cast to London, with all its hope and all its sorrows. We discover Willoughby's true character (so awful and odious! ), as well as that of many others (I wrote "ugh" in the margin several times for Lucy and once for Robert). I'm still torn about our heroes. Edward has barely stepped onto the page, and he still seems cowed by outside forces. But I suppose the way he shines the brightest is in his contrast to the darkness of Willoughby's character; if nothing else, he doesn't take his commitments lightly, nor does he act on selfish or impulsive whims. And as for Colonel Brandon, as much as I don't want to agree with Mr. Dashwood, it's hard not to think that some sort of romance could blossom between him and Elinor. She's the one he interacts with the most of the two sisters; he obviously appreciates her tender heart and her graciousness to him. I'm not really sure what draws him to Marianne beyond her looks and his compassionate nature, although I suppose he's mentioned his preference for passion and liveliness. And I loved the moments at the dinner party with the Ferrarses when he noticed Marianne, appreciating her love for her sister and being concerned about her tears. Elinor and Marianne are such thoughtful sisters—Elinor weeping with Marianne, and Marianne rejoicing with Elinor (even though she isn't aware yet of why it would be better to weep with her). While Edward is not the kind of man Marianne would fall in love with, she loves him as a brother for her sister's sake, and her affection for him is the sweetest. I won't say much about Willoughby... I'm just glad he's out of the picture, and I feel sorry for his wife (and certainly Marianne and Eliza). He acted so abominably in so many ways! Lucy is grating on my nerves. Just...ugh! I do want to sympathize with her in some ways; obviously, she feels insecure in Edward's affections and wants to cling to their engagement. But her utter selfishness and unkindness in the way she treats Elinor (and even Edward, really) is simply awful. She's so focused on herself and securing her own place, rather than showing compassion toward Elinor or love toward Edward. I admire the way Elinor navigates all this with dignity and grace, even if she sometimes gets fed up with Lucy's shenanigans. As much as Mrs. Jennings can be a bit too pushy and not really understanding, I do like her, and I wish Marianne would try a little harder to see Mrs. Jennings's good intentions. But Fanny...and her husband...and Mrs. Ferrars...and Robert...yikes! These characters are not a good combination. So much selfishness! 1. Which hero holds the most appeal for you so far, Edward or Colonel Brandon? What draws you to his character? 3. Imagine yourself in Elinor's shoes for this trip to London. Do you think you would have responded the same or differently to Marianne's situation and Lucy's company? Join us next Friday for our third and final discussion! 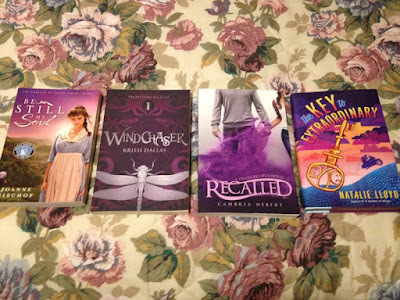 I've read two stories by Savannah Jezowski so far: When Ravens Fall and "Wither" in the Five Enchanted Roses anthology (my review). Her writing is awesome, and "Wither" ended up being my favorite story out of that collection! 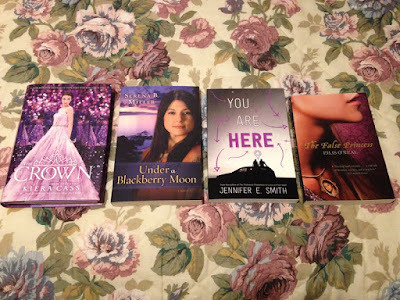 While I'm not reviewing After today, I still wanted to share about Savannah's latest release. :) Enjoy...and don't miss your chance to win a copy of the book! On the streets of an ancient city, with creepers wandering at will and a mysterious assassin leaving corpses all over Pandorum, a young Spook with a dark secret will do anything to keep his brothers safe, even from forces that threaten to tear them apart from within. While others are searching for impossible cures from outlawed Spinners, Conrad Ellis III does not believe in fairy tales and miracles. But when he discovers a strange girl with shrouded ties to the Assassin, Eli is forced to leave the streets he loves and travel into the very heart of Pandorum in order to save a member of his family. With his health failing and the danger escalating, there is no escaping the inevitable truth. Today, he may hunt creepers. Tomorrow, he just might be one. Joanne Bischof excels at creating vivid atmospheres for her stories, and the setting, scenery, and emotions in Sons of Blackbird Mountain are rich and beautiful. 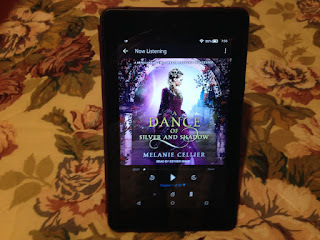 I loved getting to know Aven, the three Norgaard brothers, their housekeeper, and the characters who either waltz gently or march harshly in and out of the orchards. There is a sweetness to most of the interactions, and you can't help but love the characters—hardships, weaknesses, and all. I absolutely adore autumn and apple orchards and fresh apple cider; I have such fond memories from childhood of enjoying these things. So it makes this story extra delightful to experience the season of harvest with the characters, to read depictions of the trees, the names of the apples, and the joy of that first sip of apple cider. But mixed in with the innocent moments are difficult struggles with fear, lust, uncertainty, and addiction to hard cider. None of the characters are spared from the painful realities of life and the hate or selfishness of others. I appreciated reading about the sacrifice, the tested faith, and the wrestling with sin and sorrow. Toward the end, I did feel like a few big events seemed to happen rather close together; it felt like a lot of emotional upheaval for the main characters to face all at once. I wonder if a little bit more time between things might have been warranted...but I suppose life sometimes works that way in both the things we choose and the ones we can't foresee. I also would have liked a bit deeper of a glimpse into Haakon's character earlier in the story, as Thor really steals the spotlight from the beginning. But that's not necessarily a bad thing. 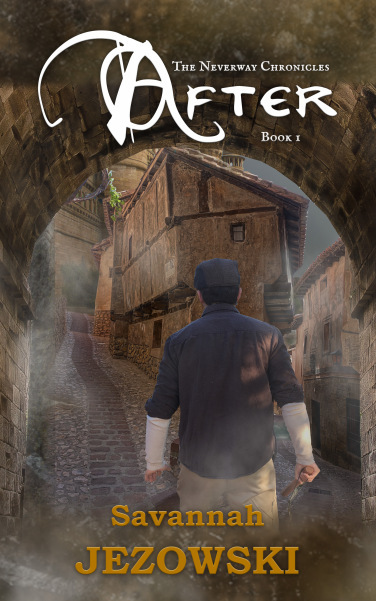 :) His character is compelling, charming, and intriguing, and readers will love following his journey, as I did. 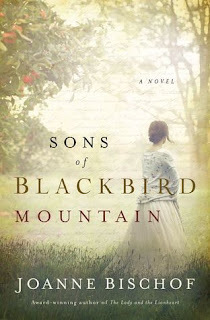 Sons of Blackbird Mountain is another fresh and heartfelt historical novel from an incredible author, and she's brought together people and a place to cheer for and cherish. Welcome to the first discussion of the Sense & Sensibility read-along! I'm excited to be reading this book with you, and I'm eager to hear your thoughts. :) If this is the first you've heard of the read-along, you can learn more about the schedule in this invitation post. Today we're going to discuss Volume I. If you came prepared, go ahead and share your thoughts in the comments section or in your own post! (Feel free to use the image above, linking back to the Sense & Sensibility read-along tag.) If you still have to catch up, you're welcome to check whenever you're ready. "At first sight, his address is certainly not striking; and his person can hardly be called handsome, till the expression of his eyes, which are uncommonly good, and the general sweetness of his countenance, is perceived. At present, I know him so well, that I think him really handsome; or, at least, almost so." "Colonel Brandon alone, of all the party, heard her without being in raptures. He paid her only the compliment of attention; and she felt a respect for him on the occasion." "She dispersed her tears to smile on him, and in her sister's happiness forgot for a time her own disappointment." 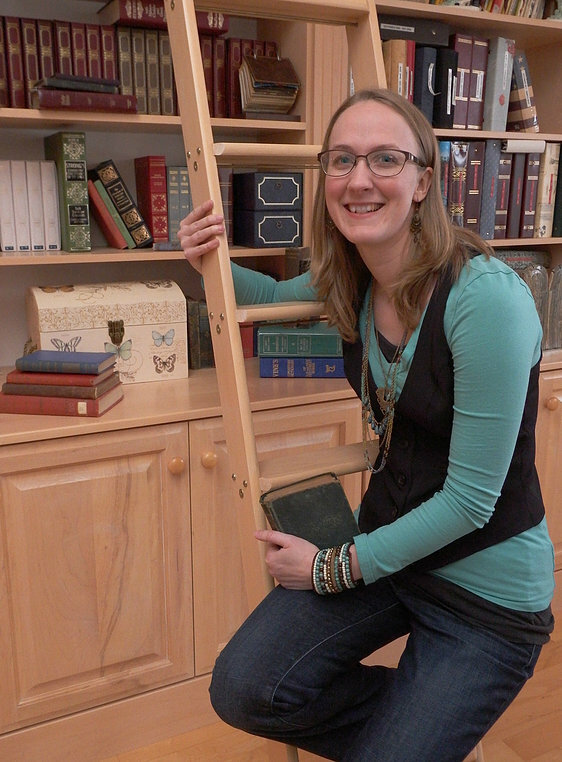 "My loose cash would certainly be employed in improving my collection of music and books." "What! you thought nobody could dance because a certain person that shall be nameless is gone!" 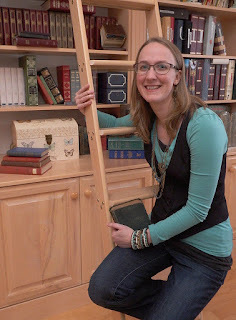 It's so fun to be engaged in another Jane Austen novel! So far, I'm really enjoying this one. I confess I have the actors from the 1995 adaptation (Emma Thompson, Kate Winslet, and others) in my head; I believe that's the only movie version I've seen so far, and the acting was wonderful! It's easy to match the personalities between the movie and book. Anyway, I should focus on the book! I love how Marianne and Elinor really seem to get each other, even if they don't often agree and their methods/thoughts clash. Their sisterly bond is evident in how they care for each other's feelings and future happiness. The Dashwoods' new home and the surrounding countryside sound lovely! Even though the company they're forced to keep is rather pushy and boisterous, I think it's nice that they've been so thoroughly welcomed and aren't ostracized. As for the rest of the characters we've met so far... I liked Edward's first impressions, but I wish he were bolder, and what we're learning of him from Lucy (as much as she can be trusted to be honest about) doesn't paint him in a great light. He seems sweet, even in his interactions with the whole family, but his dour attitude, lack of ambition, and secrecy aren't always appealing. What to say about Willoughby? It's hard to put aside what I know about him from the movie, but I can say that I don't like his careless ways toward others. He seems a bit like Frank Churchill (from Emma) in that regard, and he's encouraging an unkind, disrespectful side of Marianne. Also, the abrupt way he left the Dashwoods (with no real excuses) hardly seems promising. Colonel Brandon hasn't revealed much of himself to readers, although I do love how (in contrast to Willoughby) it's noted that he cares about the feelings of others. He's perceptive and thoughtful, and even though he's been "rejected" by Marianne so far, he's not spiteful. I'm eager to read more about the brewing drama, although I feel so bad for Elinor after her discussion with Lucy at the end of Volume I. I don't know if Lucy necessarily understands Elinor's feelings for Edward...but in any event, she's definitely behaving in a self-absorbed and melodramatic way, and I wish she would leave poor Elinor alone. Granted, if there really is an engagement and feelings on Lucy's part, I can understand her wanting to make clear her claims to Edward. But still...she's being very unkind about it, going on and on as she does, even if she's not intending to be unkind and doesn't realize the extent of Elinor's attachment. 1. So far, do you relate more to Elinor or Marianne? Do you find it more important to act properly and rationally, or do you prefer to speak your mind and express your true emotions? 3. How would you respond to Lucy's revelations at the end of Volume I if you were Elinor? Would you keep Lucy's secret from everyone? Would you continue to remain "friends" with Lucy? Join us next Friday for our second discussion! feature your favorite color on the cover? While I'm tragically late to reviewing this first book in the Price of Privilege series, I can tell you that it was worth finally reading and savoring! I love that the author's bio claims her blending of Austen and Bronte, because she does such an excellent job of it. The witty observations of humanity and sometimes outlandish characters and dialogue point to Jane Austen's style...but there are heavy echoes of Jane Eyre and Mr. Rochester throughout the story and setting. Not to fear, though, as Born of Persuasion is still entirely unique! While Mr. Macy reminded me of Mr. Rochester at times (and was bothersome in some of the same ways), these characters are very much their own, full of complexities and inner conflicts. And goodness, the turns this plot takes! Toward the end, it's one awful revelation and danger after the other. While it feels a bit cyclical at times, it's still a thrilling chase that sends pages flying and leaves burning questions all over the place. Based on the ending of this first book, I'm guessing this series should be read all together and in order if you want the full scoop and best experience. Still, on its own, this first installment offers a great mystery, moral food for thought, and subtle but encouraging character growth in Julia, the heroine. There is hope...but also a whole lot of uncertainty and potential pitfalls ahead. 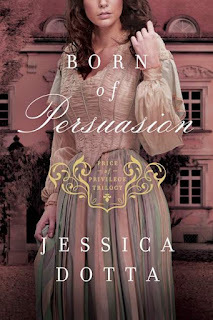 Fantastic writing for those who love danger and drama mixed into a historically elegant read, Born of Persuasion is fascinating, and I look forward to diving into its sequel, Mark of Distinction. A war-torn countryside is no place for a lady. Loyalties seem to lie all over the map, especially for the hero of The Captured Bride, Elias Dubois. And with all the intrigue and imminent dangers, Michelle Griep has created another engaging historical novel! I enjoyed getting to know the main characters of this story and following their mission of transporting gold to another fort. Secrets abound (along with a double cross or two), and there are enough questions and twists to set a good pace. Elias and Mercy make an effective team (when not stepping on each other's toes), while the romantic tension between them keeps things interesting. I admit I didn't feel as drawn in emotionally as I was with Griep's time-travel romances, but it might just be the timing for me. I remember loving the mystery of those stories...but the historicals I've read have certainly been enjoyable too! 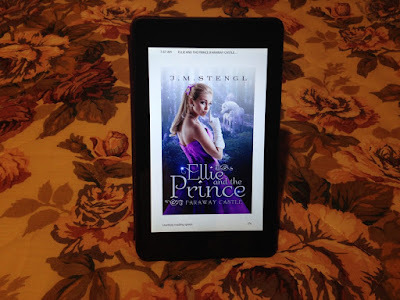 And the backdrop of this story coupled with the unique personalities, skills, and occupations of the hero and heroine are right up my reading alley. 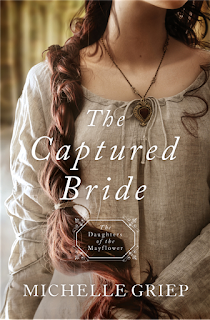 This is a great addition to the Daughters of the Mayflower series with its historical premise, well-paced plot, and lessons on faith and trust.